Wayne State’s second annual STEM Day is expected to draw 2,000 local students to participate in more than 70 interactive sessions on Tuesday, March 13. The event, which will be held from 10 a.m. to 1 p.m. at various campus locations, is focused on science, technology, engineering and math (STEM) education and possible careers. Sixth- through ninth-grade students from approximately 15 school districts in Wayne, Oakland and Macomb counties will learn how these fields can create pathways toward careers while enjoying fun sessions including volcano-building, fire tornadoes and walking on water. Participants will also view demonstrations on crash test dummies and repairing broken bones. New this year is “Wonders of the Human Eye,” featuring Wayne State University President M. Roy Wilson, a world-renowned glaucoma surgeon and researcher. Wilson will provide a hands-on introduction to human eye anatomy and common eye diseases, share how he decided on a medical career, and answer questions about how to follow a similar path. Attendees will also experience Wayne State through campus tours and a complementary lunch. STEM Day is free and open to teachers and their classes, as well as individual and homeschool students. 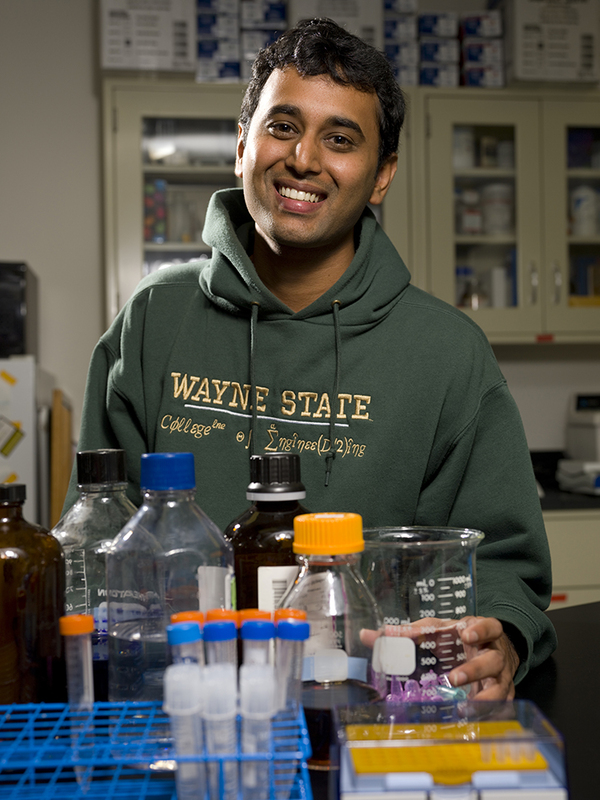 Major stakeholders include Wayne State’s College of Liberal Arts and Sciences, College of Education, College of Engineering, Eugene Applebaum College of Pharmacy and Health Sciences, College of Nursing, and School of Medicine. For a full description of all STEM sessions and activities and other important event information, go to wayne.edu/stemday.